Every year North Carolina becomes the new home to thousands of new residents, whether they’re looking to live here full time in a residential home or spending their summers here in a condo. Brunswick Forest resales are a great way to enjoy a peaceful lifestyle without the huge price tag. 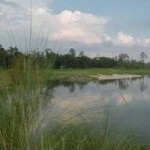 This friendly community offers easy access to Wilmington NC and surrounding beach areas. It’s not hard to see why so many families choose Brunswick Forest. 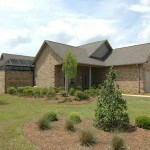 Brunswick Forest offers a wide variety of property from custom built family homes to low maintenance town homes. These Brunswick Forest resales are ideal for families, couples, retirees, and anyone looking for a serene lifestyle. You can enjoy breath taking views of lakes and wilderness, fitness center, parks, trails, championship golf, retail shops, and just about anything else you can think of. Many residents love its short drive to the beach!